Calling all iOS users, if you haven’t already check for an app update from the App Store, do so now because Google have some updates you’d hate yourself for not getting. 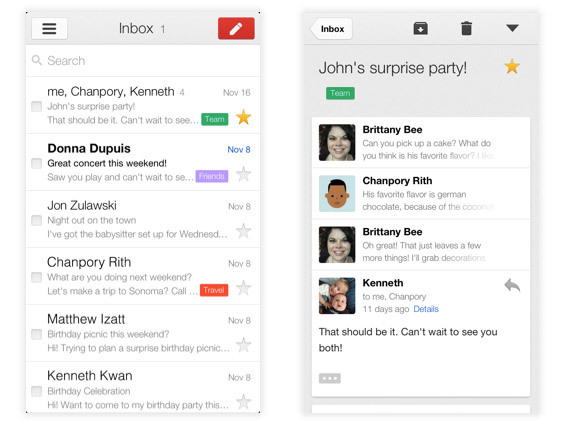 Gmail for iOS has now been updated to version 2.0 with a brand new look and multiple account support. On top of a simpler and clearer interface when you log on, v2.0 also comes with a host of improvements such as profile pictures in messages, new animations like transitions, infinite scrolling in message list, swivels and such. When you first launch the app after the update, there will be a short tutorial showing off the new features which include autocomplete predictions, the ability to RSVP immediately to Google Calendar as well as +1, and comment on Google+ posts directly from the app. Google also updated its YouTube app which is now fully optimized for use with the iPad and iPhone 5’s longer display. Another notable change is that it now comes with support for AirPlay streaming for all videos. Other changes include ability to tap a logo to open a channel Guide, the ability to add/remove videos from your playlist, improved VoiceOver, and more. For Foursquare users, do perform an update for your iOS app too to enjoy a better overall experience when checking into places. The update, version 5.3.5, comes with some interface changes like a tighter check-in screen that omits the address so you can have a bigger view of the map, a stronger Explore tab that features recently opened businesses, and more. 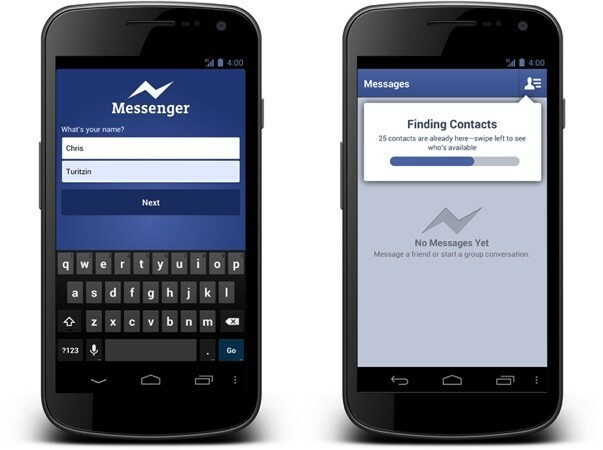 Finally for Android users, Facebook recently issued an update to its Facebook Messenger app that eliminates all the hassle of having to key in irrelevant information at registration, and allows you to use the app with just your phone number and your name. The new Facebook Messenger is already out in various countries such as Australia, India, Indonesia and South Africa, and it should be rolled out to the rest of the world soon. Facebook is also working on the same thing for its iOS app. Have fun exploring all the new features on these apps.